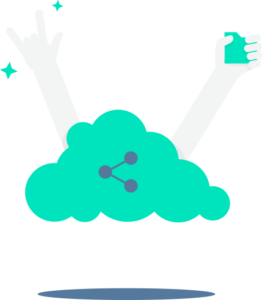 Teams are a granular possibility to set up task groups. 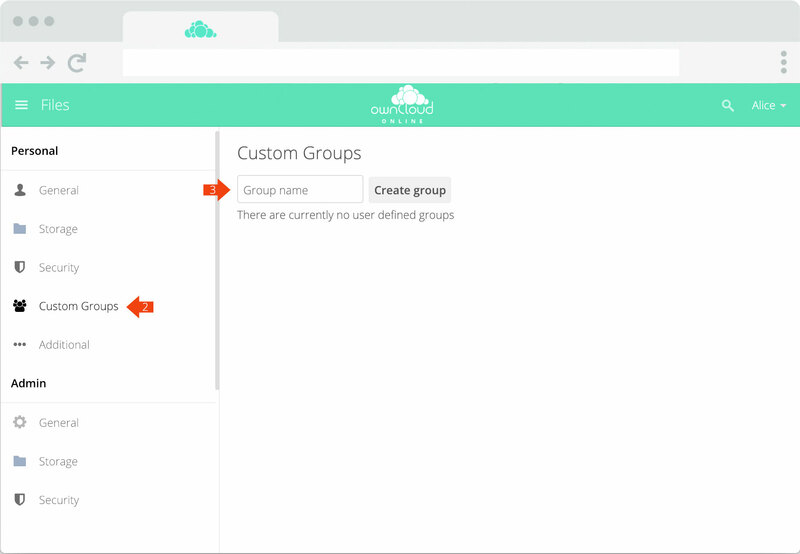 While normal user groups require an administrator to set up Teams can be created by every user to suit their workflow. 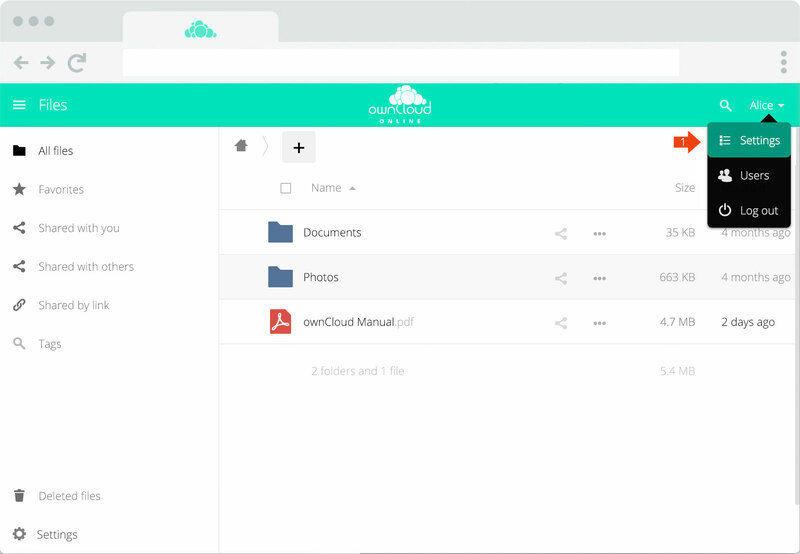 Sharing files and working together will be much more efficient and faster without any trade-offs in keeping your files safe. 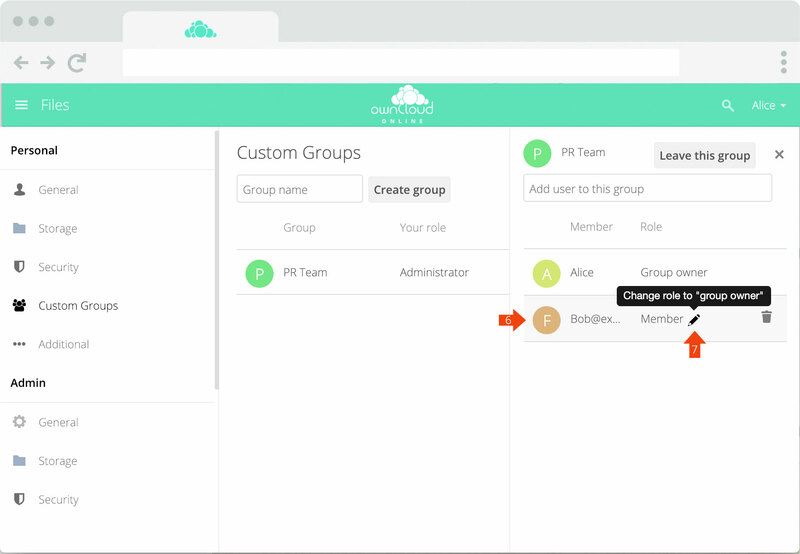 Teams can also be combined with Guest Users. Alice wants to share files with multiple co-workers. To create a team she clicks on „Settings“ in her user menu (1). In the team administration panel Alice can now add members to her newly created team by entering names in the search bar (4) and clicking on the names (5) she wants to add. Bob was added to the group (6). By clicking on the edit pen (7) Bob becomes a team admin (see Roles). Back in the Sharing Menu in the file explorer Alice can now share files and folders with the group (8). Teams are an excellent way to save time and get more productive. 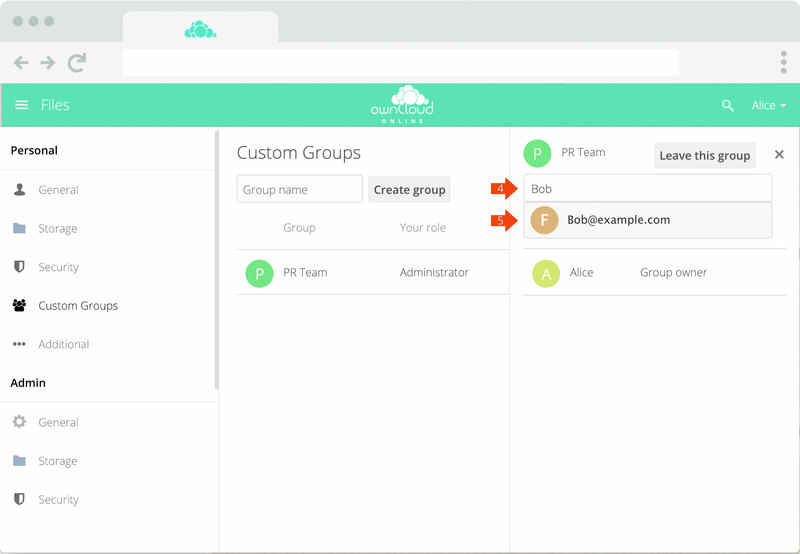 Combine your teams with Guest Users to even include third party co-workers. For more detailed information scroll down. In the Team administration hover over the name and click on the trash bin icon. In the Team administration click on the name of the team you want to change. In the input field enter the new name and hit Enter. Teams are visible only to team members, but not to anyone outside the group. 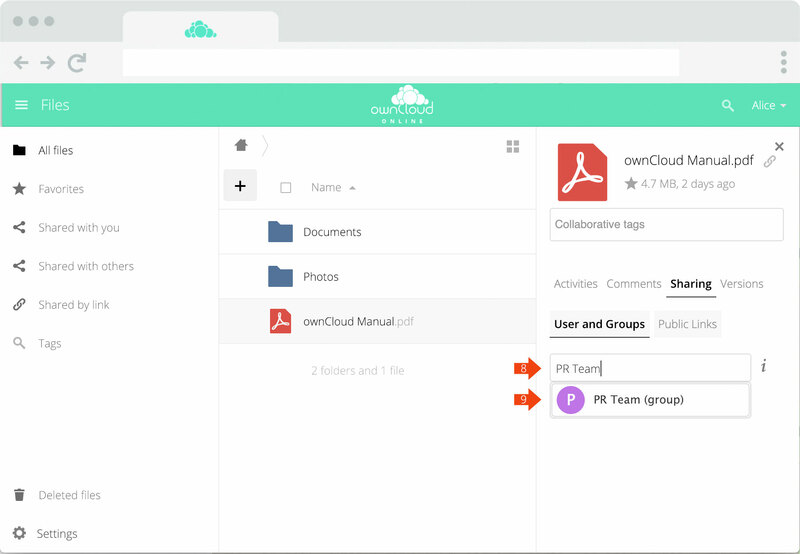 While Team members can only share files/folders with the group Team Owner are able to add and remove members, rename and delete the entire team.